Below is a report on analytics and their role in the newsroom, one part of a continuing World Editors Forum blog series on the Trends in Newsrooms 2014 report. Read the other installments here: Part one, part two, part three and part four. So, how do you measure audience engagement, and what are the most effective metrics to do so? The role of analytics in news production remains contentious, but having a clear understanding of what readers consume and how they consume it helps newsrooms to better target their content, and to deliver it more efficiently in a digital world. Until recently, page views and unique visits were the two undisputed metrics for measuring digital audiences — the recognized currency for showing value to advertisers. Page views (or page impressions), together with unique visitor statistics, tell us the number of times users load and visit one web page. 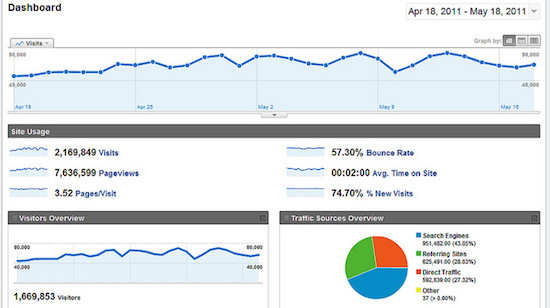 They reflect a quantitative approach to measuring the traffic to a website and its performance. But earlier this year, a debate arose, challenging the accepted value of these metrics in favor of qualitative metrics that measure attention and engagement: how interested the reader is in the page, and how long she or he remains on it. The debate was triggered by an article on Time.com by Tony Haile, CEO of real-time web analytics company Chartbeat. Carrying the provocative headline “What You Think You Know About the Web is Wrong,” the piece argued that there are myths about what readers click on, read and share — starting with debunking the myth that users read what they click on — and that click-through rates no longer reflect reality. Consumers’ attention is a scarce resource; every publisher is competing with everything, everywhere when it comes to attracting news consumers’ attention. New methods allow the capturing of in-depth data about what Haile describes as a “second-by-second, pixel-by-pixel view of user behavior.” In what Haile calls the “attention web,” what matters is no longer what links users click on — but what they do once they click it and how they engage with it. New ways to measure this include tracking mouse movements, scroll depths and time spent on a page. However, measuring time spent is problematic, as some services showing the amount of time spent on a page don’t encounter the fact that some users leave tabs open on the desk without actually reading the item. Photo by Tim Anger and used here with permission. Dissatisfaction with traditional metrics has prompted some companies to come up with their own new measurements. Chartbeat, Medium, YouTube and Upworthy have all introduced their own branded metrics. Supporting the need for the news industry to develop stronger audience metrics, the American Press Institute (API) launched a program to help publishers build customized content analysis software to create a new data-driven content strategy. Not everyone agrees that page views are obsolete, however. News Corp Senior Vice President of Strategy Raju Narisetti believes “vanity metrics,” such as page views, are still important. 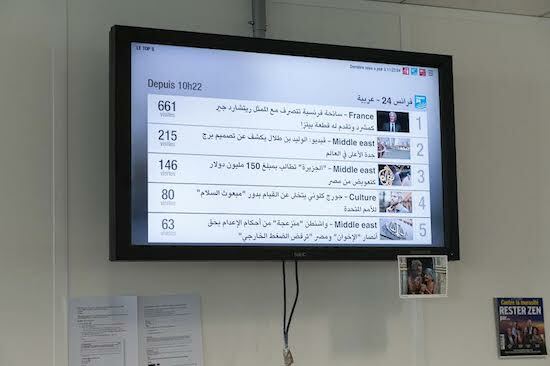 A data-driven content approach encounters some resistance in the newsroom, though, with journalists fearing that the daily use of audience analytics will undermine the quality of their work. As Narisetti argues, the objections in print-centric newsrooms to incorporating analytics into day-to-day workflow comes from the fact that audience data has long been considered a temptation to editors to pander to audiences and orient stories toward click-bait. In the traditional print world, despite the prevalence of “reader surveys,” it was difficult to ascertain whether anybody was actually reading specific content. And editors traditionally viewed their responsibilities as including the ability to decide, on behalf of readers, what was important. Narisetti says it’s often difficult for those editors to suddenly accept that there is a lot of data and that the data says something about engagement, about what readers care about, what readers don’t care about, and to accept that you have to be able to use a mix of this data and your own news judgement to determine content priorities. To rebut this resistance inside the newsrooms, it’s important that editors understand that data doesn’t fully replace professional news judgement, Narisetti contends. “There is a false cause-effect relationship that newsrooms build up [in which it is argued] that if you follow audience data then you’re chasing traffic. That’s why editors are there, to make sure that we don’t do all those things, right? That’s not the problem of the data; that’s a problem of how you manage your newsroom,” he told the World Editors Forum. Narisetti’s overall argument is that data can help drive cultural change. Photo by xuanson138 and used here with Flickr CC license. Andrea Iannuzzi, executive editor of National Content for the daily newspaper network at Gruppo Espresso, vouched for the value of analytics during a presentation at the International Journalism Festival in Perugia last May. So which are the right metrics for newsrooms to focus on if they want to emerge from the “dark room”? Iannuzzi explained that the answer very much depends on whom you consider as stakeholders. Note: You can read this article in full, in the report Trends in Newsrooms 2014, edited by Julie Posetti, available here(free to WEF and WAN-IFRA members). You can continue the conversation on Twitter, using the #TrendsInNewsrooms hashtag. Federica Cherubini is a journalist and program manager working with the World Association of Newspapers and News Publishers (WAN-IFRA) on multiple projects dealing with the future of journalism, digital storytelling, social media engagement and community building. Last year she was one of the researchers for “Online comment moderation: emerging best practices”, a guide to promoting robust and civil online conversation — researched and produced by the World Editors Forum with support from the Open Society Foundations. She is @fedecherubini on Twitter.